Almost every iPhone user is using iTunes to backup iOS devices. And when you need to restore important data urgently, forgetting encrypted password can lead to terrible consequences. For example, as a passionate iOS user, your iPhone backup will not be decrypted unless you get the correct password back. In a situation like this, your iDevice can't be restored from the encrypted backup. And you're going to lose all data forever if you couldn't find the password back. Fortunately, 2 methods are available here concerning iTunes password reset. Part 1: If You Clearly Know the Password of Your iTunes. Part 2: If You Cannot Remember Your iTunes Password for Backup at all. In such case when you remember your iTunes Password, you can reset iTunes password on iPhone by yourself. Launch iTunes and connect your iPhone to your computer. Sign in to your iTunes account. On the summary window, click "Change Password", then a small window will pop up, where your iTunes password can be reset. If the worst situation happens that you have completely forgotten the password for iTunes backup, i.e., the iTunes password you need, in this situation, we recommend using a powerful tool to retrieve iTunes password on iPhone XS/XS Max/XR/X/8/7/7Plus/6s/6/SE/5s/5. Tenorshare 4uKey - iTunes Backup is such an wonderful tool specialized in resetting iTunes password on your iOS devices. You can find the forgotten iTunes backup password back or remove the old password and reset. Step 1. Download the tool for free and install it.Launch the program and select "Retrieve iTunes backup password" from the main interface. Step 2. Then all iTunes backups on this computer will be listed. 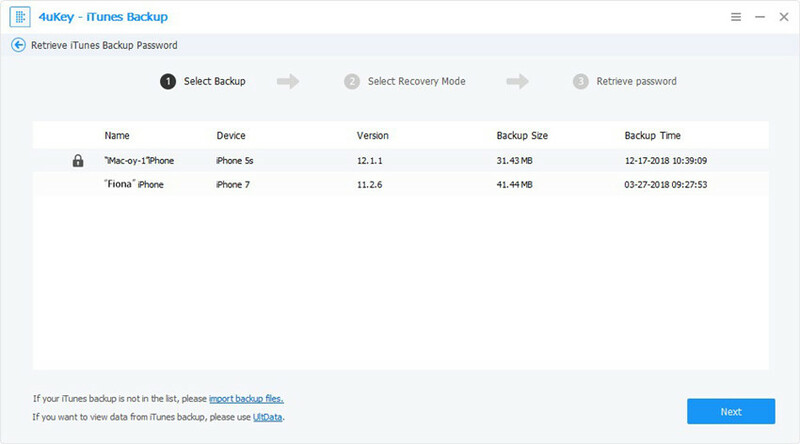 Select the backup you wanted by double-clicking it. Step 3. There are 3 types of attacks: Brute-force Attack, Brute-force with Mask Attack and Dictionary Attack. Just select the most appropriate one to reset iTunes backup file password. Step 4. When the attack method is settled, click "Start" to start to find password. 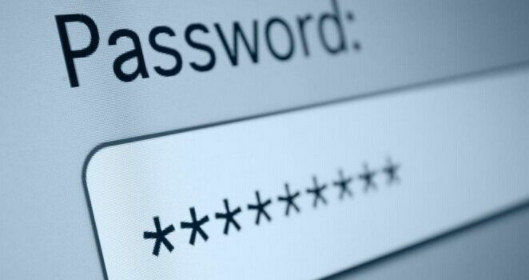 The time needed for decryption may depend on the complexity of your previous password. Step 5. When the unlock period finishes, the password will be displayed in the pop-up window. Please copy it and go back to iTunes and follow steps in Part 1 to complete the iTunes password resetting. Now you can recover itunes password without email or remove the lost password easily with iPhone Backup Unlocker! And you'll get the iTunes password to unlock your iPhone backup file.